After running afoul of a local mobster, Dr. Peyton Westlake (Liam Neeson) is burned and disfigured. As luck would have it, his research is on synthetic skin for burn victims. Only drawback? It disintegrates when subject to light. 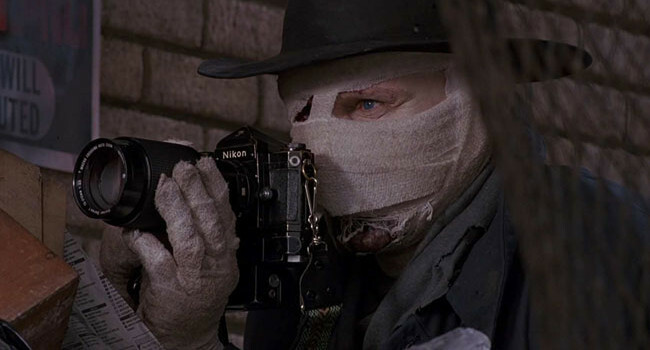 He sensibly seeks his revenge in the dark, going by the name Darkman.